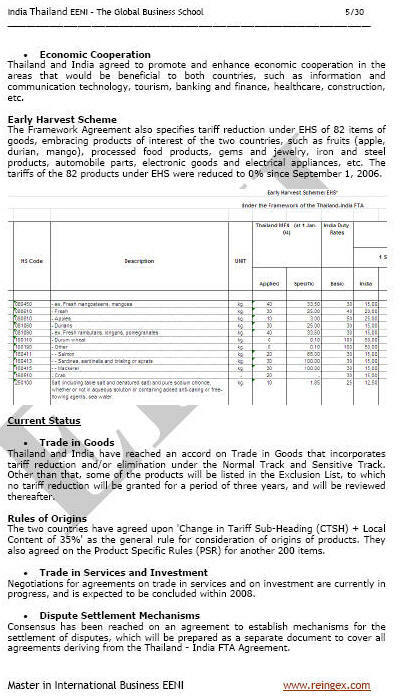 Syllabus of the Online Course (Subject): India-Thailand Free Trade Agreement (FTA). Description of the Online Course: Thailand-India Free Trade Agreement (FTA). In 2001, India and Thailand agreed to improve economic cooperation in international trade and Foreign direct investment (FDI) and study the viability of establishing a free-trade area Thailand-India.